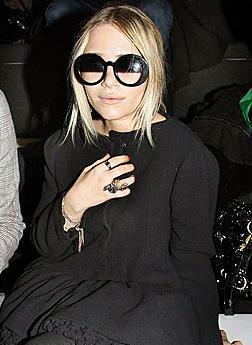 Mary-Kate Olsen left a “wad of chewed gum” with the tip when she left a restaurant recently. The 22-year-old actress dined with friends at New York’s Bottino restaurant last week, but waiters were furious to discover someone in the party had left the used confectionery alongside their payment. A source dished the scoop: “Mary-Kate was eating and drinking red wine with two guys at a front room table. At the end of the meal she pulled out a wad of cash to pay the bill and left a nice tip. This is not the first time Mary-Kate has been accused of anti-social behavior because she and her twin Ashley were branded “disruptive, intrusive and totally disrespectful” by their New York neighbors last month. The celebrity twins, who shot to fame when they starred on US television show “Full House” in 1987, angered the West Village residents with their constant partying.